Our Chocolate Chip Cheesecake Cookies are the perfect cookie for summer. 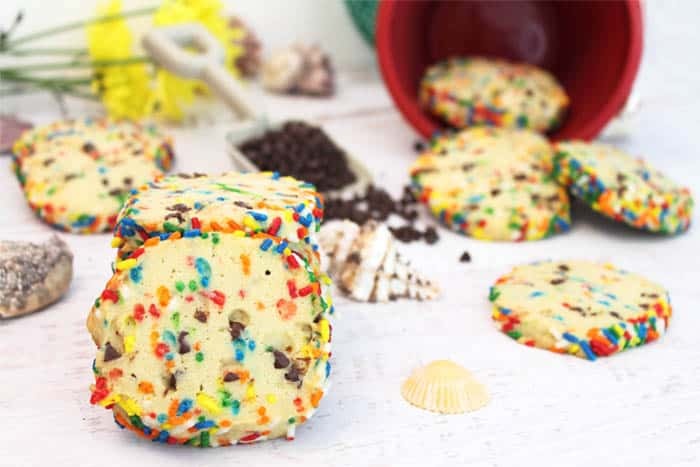 A simple slice and bake cookie with plenty of chocolate chips & colorful sprinkles that the kids will love. 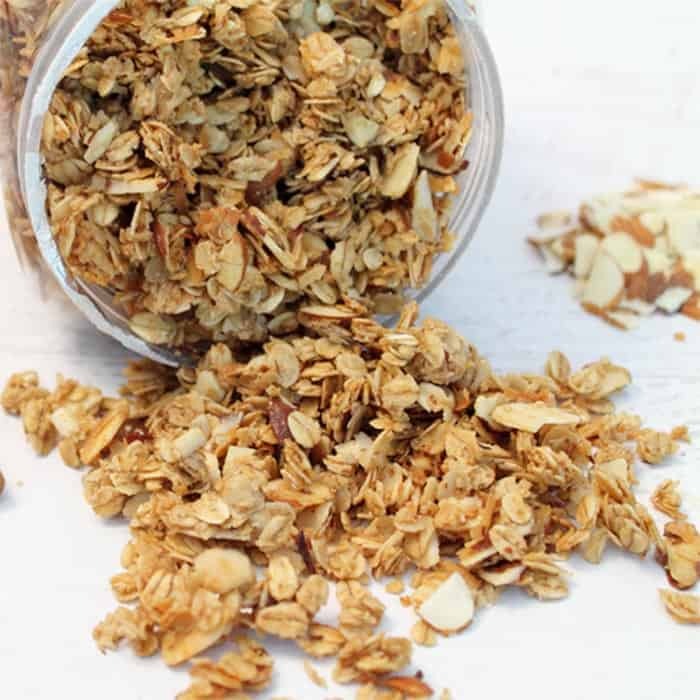 The ultimate make ahead treat! Just mix up, roll into log and freeze until you’re ready to bake. Homemade cookies in a jiffy! 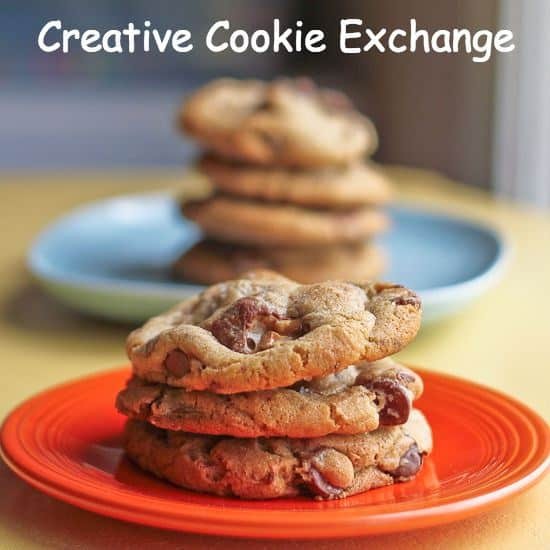 I love when Creative Cookie Exchange Tuesday rolls around each month and the theme this month is definitely a favorite of mine. 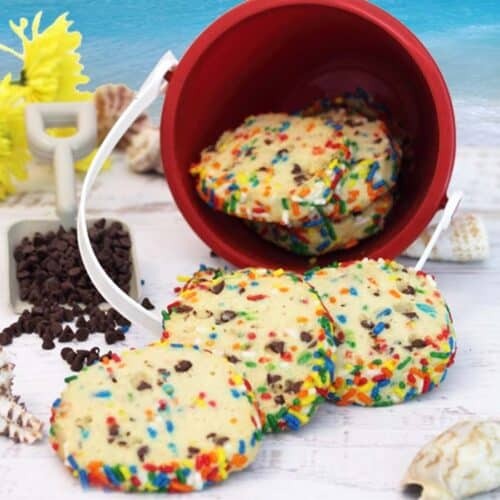 Living in sunny South Florida and only a few miles from the beach, easy beach cookies were always on the menu when my kids were growing up. And they were always something I planned ahead of time when we went on vacation as well. Because, where did we spend a lot of vacations – yep, at the beach! I guess you could say we are beach people and love the simplicity of going to the beach for vacation. Just pack a few shorts, some swimsuits and flip flops and we are ready to go! Of course, I always try to make some salads and sweets ahead of time because no one wants to spend their time in the kitchen when the beach is calling. These cookies are so simple and easy to make that they are a no-brainer for your next vacation. And you can freeze the dough in logs and keep it cool on your travels then just slice and bake as many as you want each day of vacation. I know that warm cookies from the oven always taste better than when you box them and carry them somewhere. And the aromas, well, they just make your mouth water. 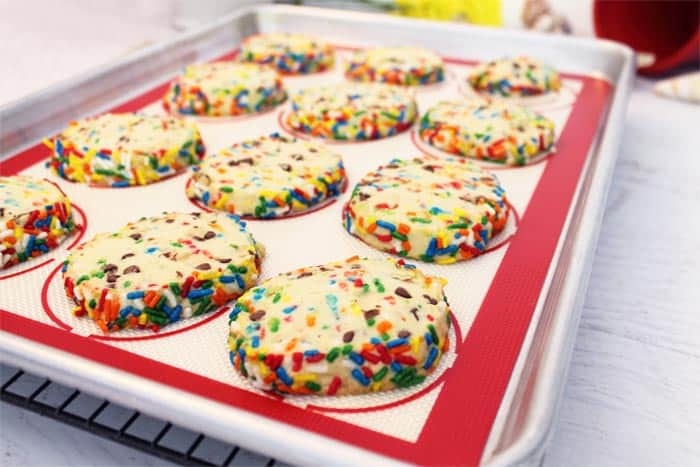 I think the fun part of these cookies are the sprinkles. They just make you want to smile when you see all that eye-popping color in the cookies. It just reminds me of bright summer days on the beach, colorful umbrellas and kids beach toys. To make these cookies, all you have to do is mix the ingredients then form the dough into 2 logs. 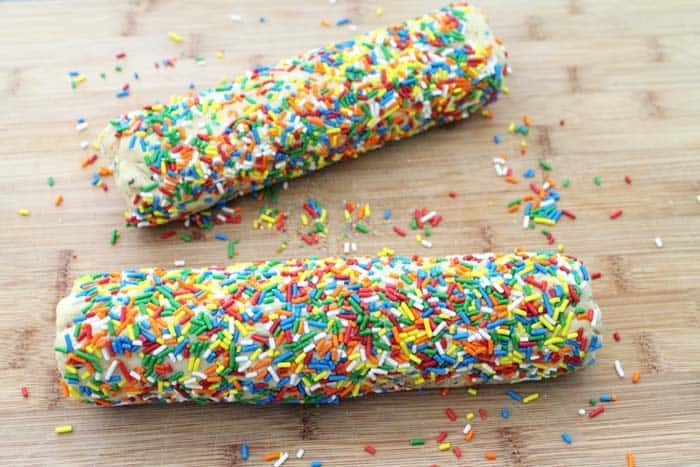 Roll in sprinkles, wrap in waxed paper and freeze for up to 3 months. 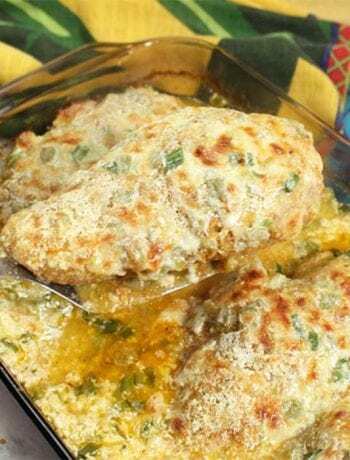 If you are making them right away, either freeze for 20 minutes or refrigerate for 3 hours before slicing. 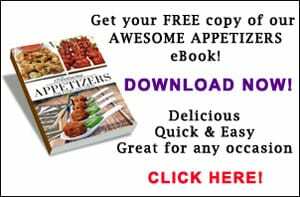 When you are ready to cook, just remove from freezer and slice into 3/8″ slices. Place on cookie sheet with silicone mat, which makes clean up a breeze, and bake. Call the kids and watch the cookies disappear. 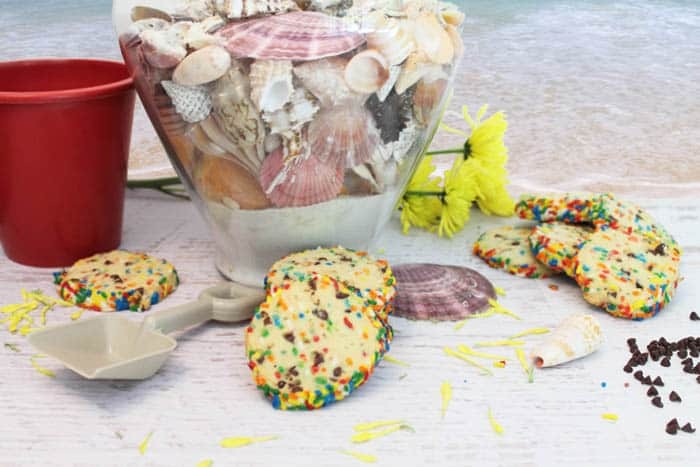 Take some time and check out all the sweet beach cookie recipes below and make some delicious treats for your next vacation. I know I’m going to have a hard time deciding which cookies to make for my next getaway. Here’s hoping you all have a fantastic summer! Chocolate Chip Cheesecake Cookies are the perfect make ahead for summer vacation. Simple slice & bake cookies full of kid lovin' chocolate chips & sprinkles. In a large mixing bowl, beat butter and cream cheese until smooth. Add both sugars and continue beating until well mixed and creamy. Combine flour with baking soda and salt. Slowly add to creamed sugar mixture, beating until well incorporated. 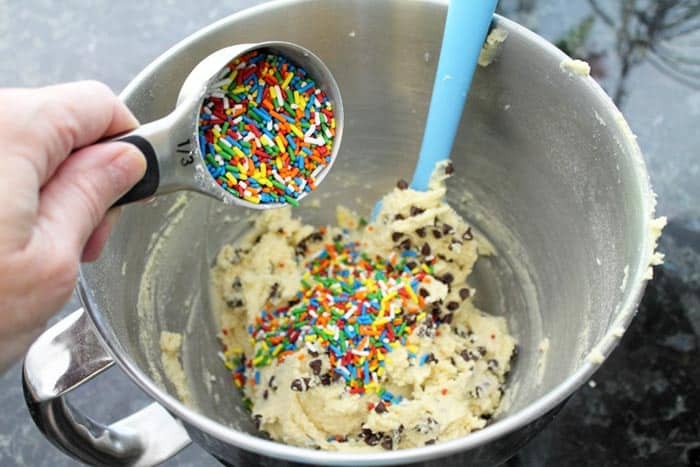 Stir in mini chocolate chips and 1/3 cup colored sprinkles. Form into 2 logs with a 2-1/2" diameter. 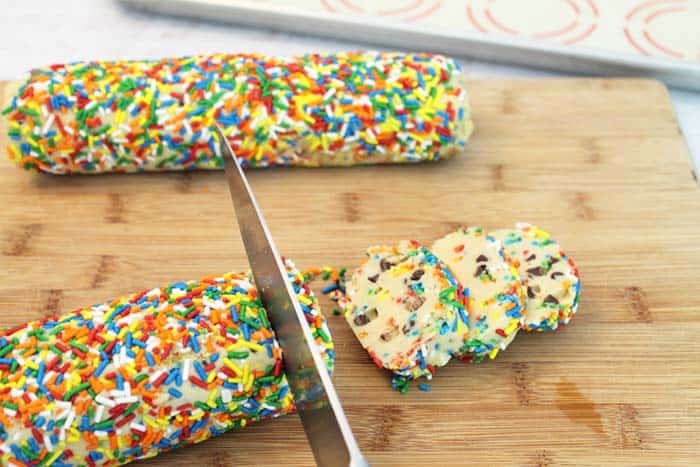 Spread half the remaining sprinkles on a flat surface and roll log over them to cover outside surface. Repeat with remaining log. 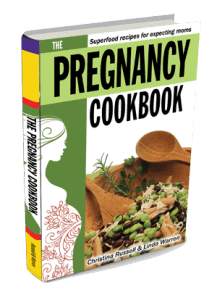 When ready to bake, preheat oven to 350 degrees. Line cookie sheet with silicone mat or parchment paper. Unwrap one log at a time and using a sharp knife, slice into 1/3" thick slices. Lay on cookie sheet, keeping about 1" apart, and bake for 12 minutes for softer cookies and 15-16 minutes for crisper cookies. Allow to cool on wire rack then store in airtight container. Summer means long lazy days, vacations, and if you are lucky, somewhere relaxing where you can put your feet up and tune out for a while. Cookies can be the perfect snack any time of the day – yes, cookies for breakfast are a thing. 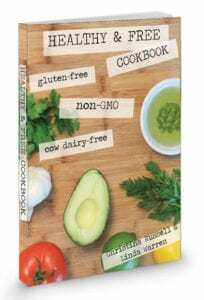 Whether you bake up a quick batch whilst on vacation or decide to bring the dough with you ready-made, we’ve got a great list for you to choose from! 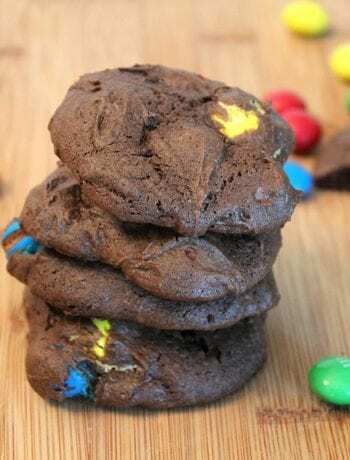 Gluten Free Chewy Chocolate Chippers by What Smells So Good? 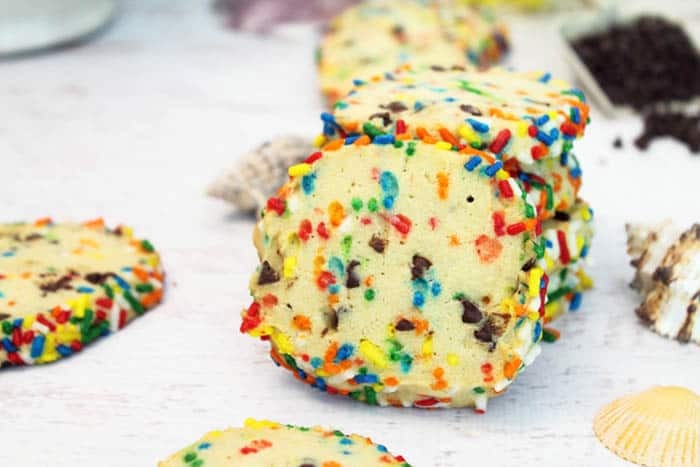 Even though my girls are older, they would still love these colorful sprinkle cookies, and I love the ease of slice and bake cookies. So true Felice, sprinkles are loved by all age groups, including the guys at the office who just devoured them. 🙂 Let me know if you bake them up what your girls think. Oh my gosh these sound delicious, and so fun!!! Everything is better with sprinkles! And the cheesecake angle…. well…. I can’t rest until I try these! I know! Sprinkles make everything better! And the cream cheese just makes them so soft and rich.Hope you get to make them soon. Enjoy! 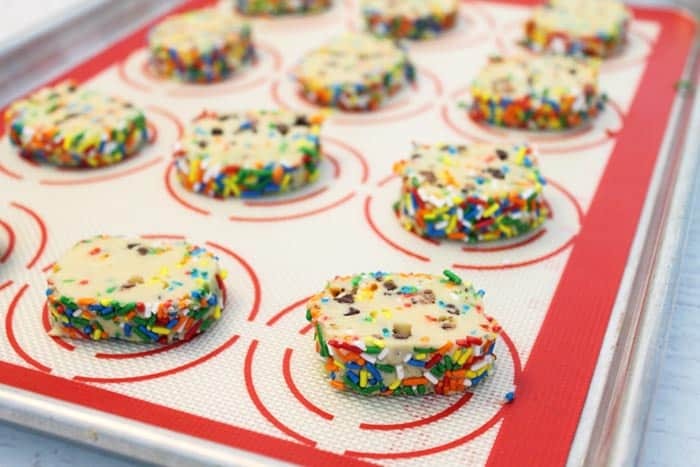 I love how HAPPY the sprinkles make these fun cookies. You are ready for a beach vacation with these goodies. Thanks Holly! I think happy, cookies and beach just go together.